Show off your favorite family moments and memories when you display this personalized photo gift in your home. 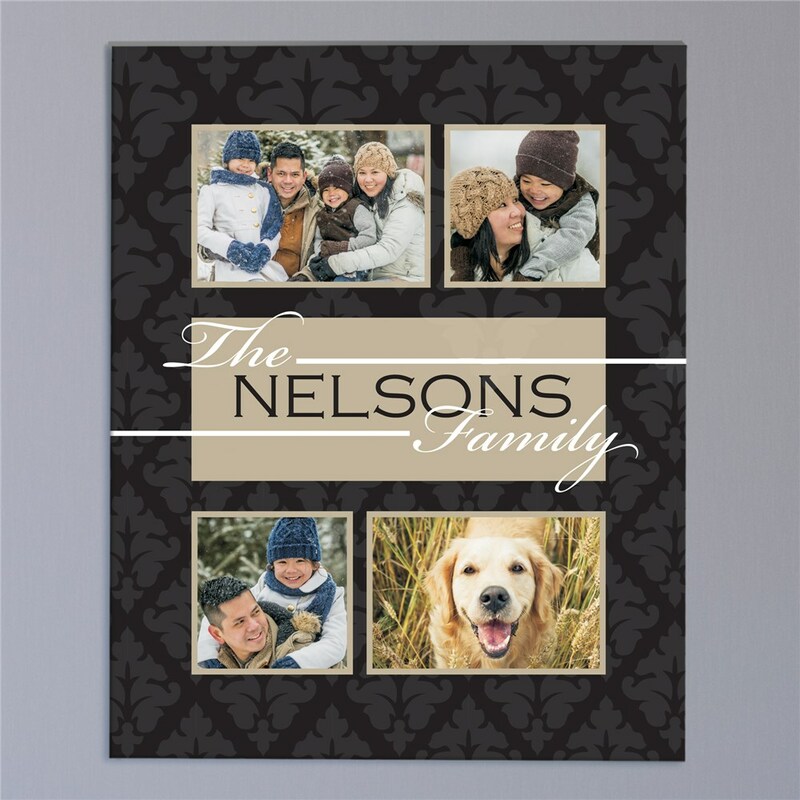 Friends and family will love taking a look at your cherished family photographs on this gorgeous canvas. Our Personalized Family Photo Collage Wall Canvas has gallery wrapped edges so it is perfect to hang with or without a frame. Please choose a size, 8" x 10", 11" x 14", 16" x 20" and 18" x 24". Upload your favorite digital photos below. Please don't send any photos in the mail to us, digital photos only. Available Sizes: 8" x 10", 11" x 14", 16" x 20" and 18" x 24"
Additional Details This is one personalized gift that you'll want to display in your home with pride! Guests, friends, family and neighbors will all love looking at your favorite family photos. Our Collage Photo Mouse Pad is another great gift idea for showing off your favorite family moments.